Rockliffe Hall will be hosting its first ever Festival of Food, celebrating the finest British cuisine. 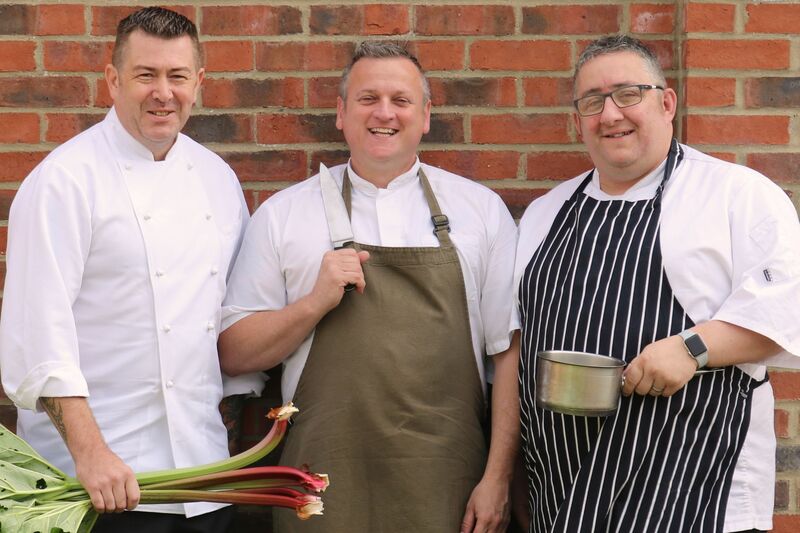 The five-star luxury resort in Hurworth, near Darlington, County Durham, will welcome some of the country’s best professional chefs during the eight-day festival, which starts on Saturday 2nd February. An Artisan Food Fair will kick off proceedings this weekend before a series of special lunches, dinners and food and wine events take place throughout the week, culminating in a Black Tie Gala Dinner on Saturday 9th February. On the first weekend of Rockliffe Hall’s Festival of Food, everyone is welcome to visit the Artisan Food Fair, taking place at Rockliffe Hall on Saturday 2nd and Sunday 3rd February between 10am and 4pm. Dozens of the North East’s finest artisan food producers will have stalls at the free event this weekend, inviting guests to sample and buy their products. (Having a look through the list of exhibitors has made me hungry!). There will also be cookery demonstrations in the Looking Glass House and gin, whisky and rum schools throughout the weekend. Now, who doesn’t love a gin and the price is great for 5 G&T’s! G&G Goodfellows at Home, Calder’s Kitchen, The Sweet Beet, Screaming Chimp, Fairleys Fine Condiments, The Clucking Pig Company, Geordie Bangers, North Chocolates, Durham Distillery, Hepple Gin, Weardale Cheese Co, Northumbrian Smokehouse, Rosalind’s Larder, Urban Fudge, The Little Quaker Distillery, The Northumberland Honey Co, Burtree Puddings, The Twisted Curry Co, Mediterranean Gourmet Company, Lovesome Oils, The Velveteen Rabbit Luncheon Club, Bows and Bakes Cakes, The Northumbrian Bakehouse, Pie Jackers. More to be confirmed. The Calabash Tree (Trinidad and Tobago), Smokey Joe’s (Traditional German Sausage), Geordie Bangers, Grumpy Panda (American style vegan food), Papa Ganoush (Eastern Mediterranean), Mivesi Spice (Bangladeshi), Tynemouth Coffee Company, Phi Foods, Hatch 56 (Gourmet Sandwiches). On both the Saturday and Sunday during the Artisan Food Fair Spirit Schools will take place in The Morning Room in The Old Hall, led by a team of experts who will guide each tasting. As part of the Gin School on Sunday 3rd February chef, Tom Brown will be making a guest appearance and participants will enjoy a specially prepared gin-infused oyster amuse bouche, created by Tom. Rockliffe Hall’s Artisan Food Fair is a free event. You can read more about our last visit to Rockliffe Hall for the Halloween Afternoon tea event here. Rockliffe Hall is just five minutes from Darlington Railway Station and Durham-Tees Valley Airport, while Newcastle Airport is an hour away; From Darlington, it’s a two and a half hour train journey to London and two hours by train to Edinburgh. The historic city of Durham is on the doorstep, as are Newcastle, York, Leeds and the Yorkshire Dales. Previous Post Set your alarm, Dippy tickets for Newcastle released tomorrow! Next Post The biggest UK Ice Trail will take place in York tomorrow!